It is 1988-the height of the Cold War. At Randolph Air Force Base in Texas, David Balzen is a straightforward, decisive, and ethical security police sergeant. But when he finds himself the solo hostage negotiator at a top secret research hangar, Balzen soon learns that reality is farther from his reach than he ever imagined. While bargaining for the release of a female research assistant from a demented physicist, Balzen is confronted with one of man's oldest dreams or, in his case, a nightmare. During a last-ditch effort to save Christine Townsend, Balzen is thrown into the physicist's time machine's beam and suddenly finds himself in Camelot without weapons and tools. With his life at the mercy of King Arthur, Balzen must prove himself worthy enough to be returned to his homeland. When Balzen is commissioned to assassinate an evil rogue, he is provided with a servant girl to assist him who looks incredibly similar to Townsend. Compounding matters, Balzen is about to discover that no one in Camelot or Texas is who they appear to be. 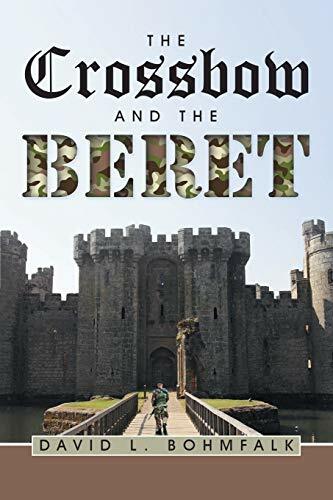 In this military thriller, an Air Force security police sergeant is transported back in time to Camelot where he must defeat the Black Knight in battle, in order to return home. David L. Bohmfalk is a law enforcement consultant who holds graduate degrees from Sam Houston State University and Texas State University, and a baccalaureate degree from St. Edward's University. He has served in Air Force Security Police and Texas State Guard Military Police, and was once the youngest police chief in Texas.